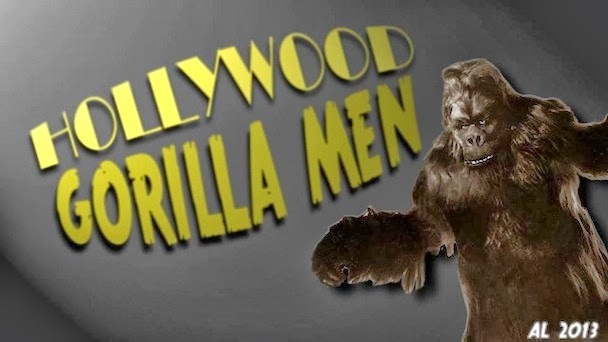 Hollywood Gorilla Men: E-gor's Gorilla Goodies....Spook Show Gorilla! 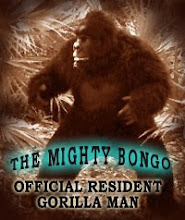 E-gor's Gorilla Goodies....Spook Show Gorilla! 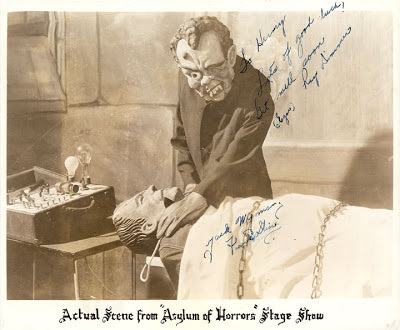 Old E-gor has unearthed a gaggle of ghostly goodies for us with these great shots from Dr. Silkini's Asylum of Horrors! 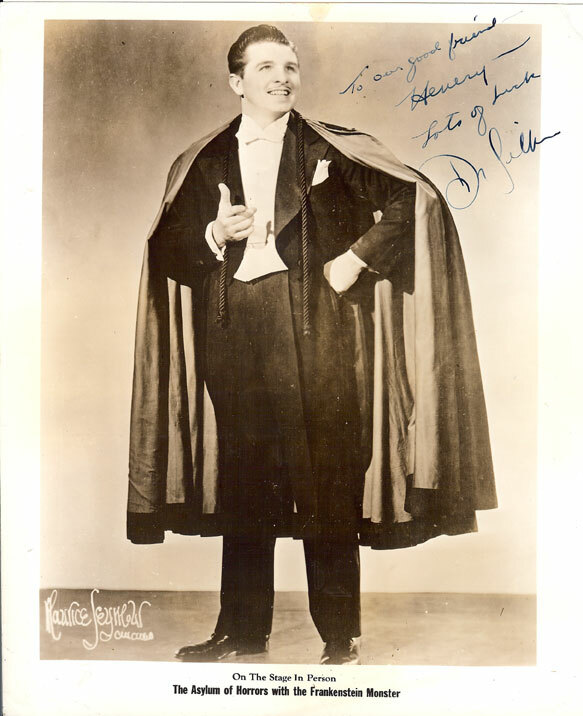 Silkini, a great stage magician, made a specialty out of live Spook Shows, appearing at theaters across the country. The shows usually consisted of a series of skits, and full size stage illusions performed in a macabre setting. No floating ladies here folks...floating heads, yes. Frankensteins monster ? Absolutely! . 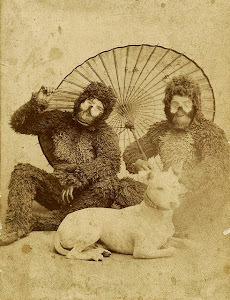 One of the highlights was a classic Peppers Ghost illusion, where a girl turns into a gorilla. 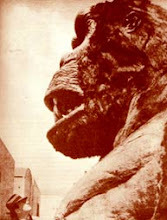 The gorilla, or Apeman as he was billed ,was played by Bob Smith , and you'll never find a ghastlier Apeman . E-gor is the proud owner of the Ape-mans autograph, as well as Silkini himself, Frankenstein, and Silkini's evil assistant Egor....Any relation E-Gor? Feast your eyes here folks, on the magic of Silkini ! E-Gor's Gorilla Goodies...A pre-Crash Corrigan !